Hi, so those of you who were with us in the blog's infancy, not many of you I'm sure (which is okay, because I'm mostly just happy that you're here now) may or may not remember our first post ever. Robyn shared 10 of the most loved board books in her house. I am now going to do the same-- but I promise not to repeat any of hers, even though we love a lot of those too. My babies have loved this book. 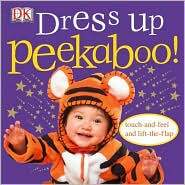 It has bright photo illustrations and large heavy duty flaps which you can lift to play peekaboo with the baby hiding on each page. This one has gone into the crib many a time and though the flaps have been lifted, bitten, bent the wrong way, slept on, and who knows what else, they are still holding strong. This is like one of the best board books of all time in my opinion, and my kids too. There are very few words a these great silly illustrations. It has a very simple story line with just a touch of mischief that will keep the listener intrigued throughout, and the reader too, which is good because you're going to be reading it a lot! So I have already song this author's praises in another post (found here). Dog Food is one more cool and very clever book by the How are You Peeling duo! It's food that's shaped to look like dogs combined with common saying using the word dog. It's a dog gone good time for all! This is a very basic book. It only has a couple pages and it only has one real purpose, to encourage kids to touch the different sensory materials on each page. It works too. 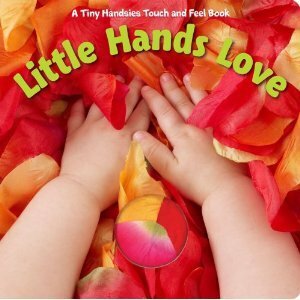 Little hands do love this book! This is a newly found (at least for us) version of the book I mentioned up at number one. It's got the same super sturdy flaps hiding the babies, but this time the babies are in costumes which makes it twice as fun. I love when books originally published in another format come out in a board book version. One of my kids was especially obsessed with this shorten version of the classic bedtime read aloud. As a toddler, she would make me read it over and over again so she could search for the little mouse on each page. 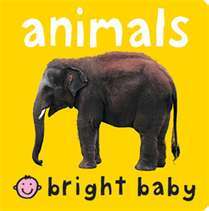 Robyn already posted about some of these books, including one of our favorites, Bright Baby Colors. So, I'll tell you about this one. Simple lay out: photo of an animal with the name of that type of animal on the same page in bold print. So basic and yet so loved by little ones. This is an interactive book and it is so much fun. You see the big white circle where the pig's left eye should be? That is a hole in the book and when you open the book and put your eyes up to the holes, you are instantly wearing an animal mask. 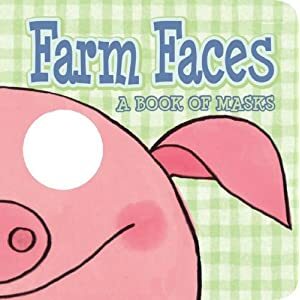 Little ones love seeing mommy or daddy dressed as a silly farm animal and will enjoy having the book held up to create a mask for them too. Here's another new favorite at our house. We just found it in a book order this year and have been thoroughly enjoying it ever since. 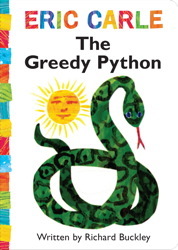 It's a nonsensical story of a python who greedily eats everything in sight, until he accidentally bites off more than he can manage. Plus, it's got Eric Carle art! Oh my! I almost forgot about this book! And, I don't know how I did because I have never sat down with my kids and this book without reading it at least twice in a row. Really, I can't remember a time ever when I only read it through once. It's got disguises and sneakiness, but on a little one's level and as always, you can count on Don Wood for beautiful illustrations. So there you have it! If you're looking for stocking stuffers for baby or toddler this year, put a rush order into Santa on some of these books! They don't take batteries and they will not disappoint!